GBA Castlevania: Aria of Sorrow (USA) "all souls" in 17:06.41 by Fz-Last, klmz & Pike. Everyone who has at least once attempted to gather a soul from each of the 120 different enemies in Aria of Sorrow, especially during a speedrun, knows the frustration it incurs after a hundredth failed attempt to get the required drop. That just makes this all-souls TAS, played on hard mode, even more impressive. This is an improvement of 1:38.85 over the previous movie, thanks to a more optimised route and newly used items. Please read the authors' comments for more details. If you would like to see the game beaten even faster, don't miss the any% run by one of the authors, klmz. Note: Starting from reset was necessary to use hard mode. However, doing so is normally not allowed — refer to the rules to see the reasons. GBC Pokémon: Yellow Version (USA/Europe) "arbitrary code execution" in 05:48.28 by MrWint. The current Pokémon: Yellow Version speed record uses heavy glitches that allow the player to catalog every Pokémon in slightly over a minute. Is there any way to get more ridiculous than that? Yes! 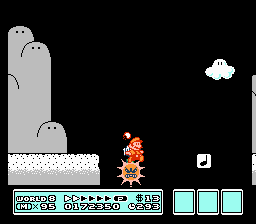 In this run, using nothing but the Game Boy buttons and tool-assisted precision, the game is made to run an arbitrary program which greatly expands the game and shows off cool stuff from elsewhere too. For details on how this was achieved, see the author's comments. This movie improves upon the predecessor by using a payload which builds upon the environment in the game highlighting new areas, new Pokémon, and shows off a lot more that can be done with arbitrary code execution than displaying the digits of Pi and some minor animation. For more runs that involve arbitrary code execution, see our published list of movies which execute arbitrary code as well as discussion in our forum. This video includes segments from some terrific games, including Pokémon Yellow, Gold, and Crystal, as well as from Super Mario Bros. Deluxe, Tetris, and The Legend of Zelda: Link's Awakening DX. Please check those games out. This video includes music samples from The Orange Box soundtrack. If you've enjoyed what you've heard, you can purchase The Orange Box soundtrack from Amazon or iTunes. This video includes a clip from SpongeBob SquarePants (season two), which can be purchased in its entirety from Amazon or iTunes. GC 007: Nightfire (USA) in 33:42.82 by FitterSpace, gamerfreak5665 & aleckermit. 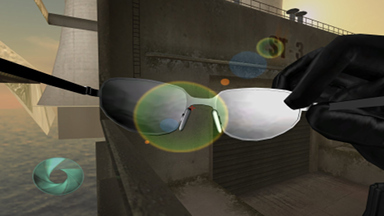 007: Nightfire is a James Bond game. Does anything more need to be said? Guns, cars, planes, submarines, spaceships, girls, and megalomaniacs. Authors FitterSpace, gamerfreak5665 and aleckermit show off James Bond's impressive skill set, including cocaine-induced firearm handling and driving so reckless, not even a cute animal would give him car insurance. This run improves upon the previous publication by more than six minutes of total run time, but with increased load time accuracy, new out of bound glitches, and better optimization, the real time saved compared to the previous run is nearly ten minutes. Genesis Sonic 3 & Knuckles in 26:53.06 by Aglar & marzojr. Ludicrous-speed bouncing around. 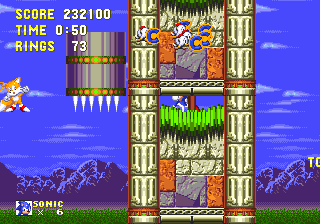 Completed without collecting any emeralds, with both Sonic and Tails controlled by the player. This run takes everything you know about Sonic 3 & Knuckles and turns it upside-down. 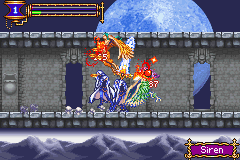 It extensively uses the "scroll objects offscreen to pass through them" trick to zip and warp to places that shouldn't be reached, break bosses, and effectively skip entire stages. This latest effort by Aglar and marzojr represents the first published improvement of this run in over four years, and the first time since this run, over seven years ago, that the authors replayed the entire game instead of replaying only select levels and then splicing input from the previous movie. Every single level is faster, and there are some surprising new glitches in several stages. For more details, see the run's comments. We also have similar movies in Sonic the Hedgehog, Sonic the Hedgehog 2 and Sonic the Hedgehog CD. And also we have runs with Amy, Knuckles, Tails, Knuckles ring attack, Sonic 100%, Knuckles 100%, Competition mode and Sonic and Tails on NewGame+. The downloadable encodes in the second set use a camhack, which attempts to always keep Sonic onscreen and puts HD sprites on top of the background to make the TAS look even better. N64 The Legend of Zelda: Majora's Mask (USA) in 1:29:32.02 by MrGrunz. In the direct sequel to The Legend of Zelda: Ocarina of Time, Link is back to being a lone boy without a fairy. One day, he is attacked by Skull Kid and his two fairies, Tatl and Tael, and they steal his ocarina. After pursuing Skull Kid, he is transformed into a Deku Scrub. 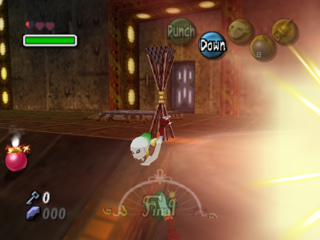 Link continues pursuing Skull Kid all the way to the Clock Town (now with the help of Tatl the fairy, a more 'in yo face' version of Navi). 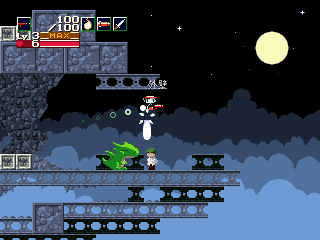 This TAS of the game is the result of three years of hard work and many restarts due to new discoveries. It features many never-before-seen tricks and glitches, and completes every dungeon without getting a single boss key. 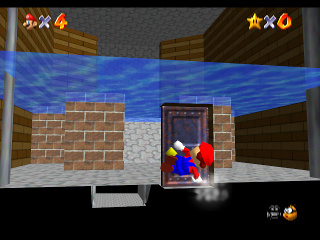 Everything is done out of order, in ways that will amaze the viewer and keep them on the edge of their seat the entire way through, including a whole new way of warping between the areas in the game's over-world, and a new method of traveling that makes even the longest stretches in the game seem tiny. The author beats the game in two 3-day cycles (the previous route used three), and does so in a way that puts every past attempt at a 6-day challenge to shame. Note: There are encodes of higher resolutions in the discussion thread. Also, if you know the cutscenes of this game by memory at this point and would rather watch an encode without them, it's your lucky day. SNES Super Metroid (JPN/USA) in 35:58.31 by Sniq. This run not only beats the previous any% but also obsoletes the previous reverse boss order TAS due to similar routes. This is an improvement of 1:40.95 over the predecessor movie. As well as an improvement over the reverse boss order TAS by 10:40.51. Sniq makes short work of Mother Brain and her space pirates, largely due to a major route change. Please read the author's submission notes for more information. GC Super Smash Bros. Melee (USA) "Adventure Mode" in 08:42.75 by numerics. Nintendo's Super Smash Bros. fighting game series is rather different from your typical fighting game. Instead of wearing your opponent's health down to 0, you must knock him or her out of the battlefield. Damage counts upwards, with knockback from attacks that hit you becoming more severe as your damage increases. Fighting controls are also simplified, making it very easy for even your non-gaming friends to pick up and play. 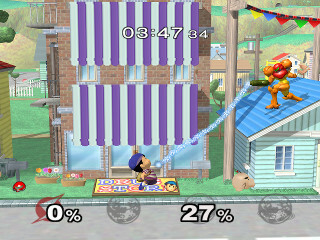 Super Smash Bros. Melee offers fighters from the wealth of Nintendo characters like Mario, Bowser, different Pokémon, Link, and Kirby. They can either fight through the single-player modes like Classic, Adventure, and Event Mode, or they battle it out against other characters in a four-player frenzy. Additional characters and stages are unlocked as hidden objectives are met, and coins rewarded for playing in all modes can be spent on a capsule toy machine. The toys in the machine represent games from Nintendo's entire video game history, and each can be viewed in 3D with a brief description. 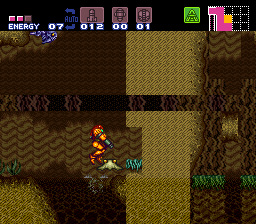 In this TAS, numerics plays through Adventure Mode with Samus, abusing glitches to move through the stages at a high rate of speed while making the battles as entertaining as possible. 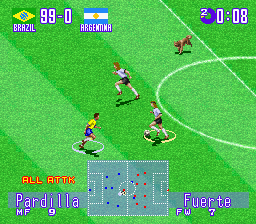 SNES International Superstar Soccer Deluxe (USA) "playaround" in 15:24.38 by Marcokarty. When watching sports, you're usually prepared for the unexpected. But what happens when it verges into the outright impossible? In this superplay, watch in awe as a team is forced to score on its own goal ("OH NO! OWN GOAL!? "), the scoreboard mysteriously records extra goals that were never scored (and even rolls backwards at one point), and the very laws of physics themselves seem to get completely broken. NES Gimmick! (JPN) "100%" in 07:44.45 by Aglar & Hotarubi. 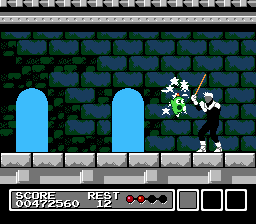 A short Japanese game about a small green toy who can summon stars to help him defeat monsters and to use them as platforms to reach high places and travel fast. In this movie, the authors collect all of the items to enter the secret 7th level after the boss at the end of the 6th level, and do so 2 minutes and 15 seconds faster than the previous movie. If you like this, be sure to check out the other run of this game, which skips the secret items. SNES Family Feud (USA) "playaround" in 06:46.28 by Heisanevilgenius. 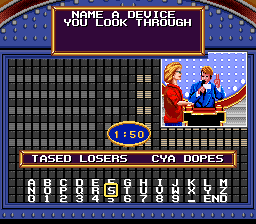 Family Feud (1993) follows the premise of the American TV show of the same name. Two families are pitted against each other in a contest aimed at guessing the results of a public survey. In the first two rounds, the first family member to press a button and give a concise answer that happens to be on the survey earns points. After that, this family can continue guessing answers on the survey, with control switching to the other family on incorrect guesses. After two rounds, the family with fewer points is disqualified, and the last round allows two members of the remaining family to list several of the existing survey answers in a very short time period. Heisanevilgenius's family, The As, ignores all that and goes with elaborate and utter nonsense instead… only to find the host accepting their answers as correct. The other family, The Halls, doesn't even get the chance to insert a word, proving the racial prejudice of the host. Watch the game and see for yourself. If you liked how this movie abuses a text recognition system, also see the trouble that TAS tools bring to a drawing recognition system. Note: Some answers contain coarse language. NES Rockman 4 Minus Infinity (v0.02) "all items" in 34:43.72 by Baddap1. 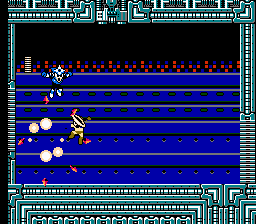 Rockman 4 Minus Infinity is the most extensive Mega Man 4 hack in existence, and probably one of the most extensive hacks of any NES game in existence. It features heavily reworked weapons, brand new weapons, new items, all-new boss patterns, and brand new stages with new music and entirely new gimmicks. 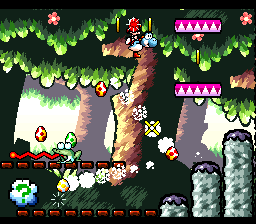 All kinds of obstacles, enemies, bosses and minibosses have been taken from other games from the series, including the Game Boy series and even the SNES and PSX games. It must all be seen to be believed. This run improves the predecessor movie by the same author by 8.71 seconds, despite switching to a new category, "all items". This is largely due to extensive use of zipping to skip some boss fights. For more details, see the submission description and discussion.